At Guitar Center, neumann microphones are being offered worldwide. Neumann is a brand that most famous artists of the world, like The Beatles, Barbara Streisand and Taylor Swift have used and are currently using for their recording sessions. Neumann has been in the industry since 1928, bringing the best out of every performances in the studio. They offer microphones that can improve the quality of your vocals, like the condenser microphones. 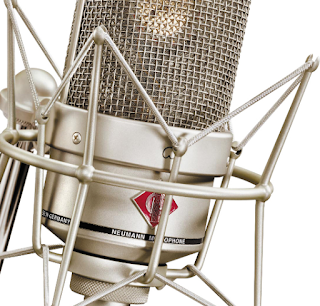 At Guitar Center, Neumann microphones are of various types, kinds and uses. You can be sure to find the right kind of microphone from the site, however big or small the budget may be. Nice! Microphones are always good especially if you are planning on being a musician or even hosting a podcast. wow I didn't know about this, there are so nice! these sound like some great microphones! Many brands focus so much on the earphones that its hard not as easy to find a good microphone.